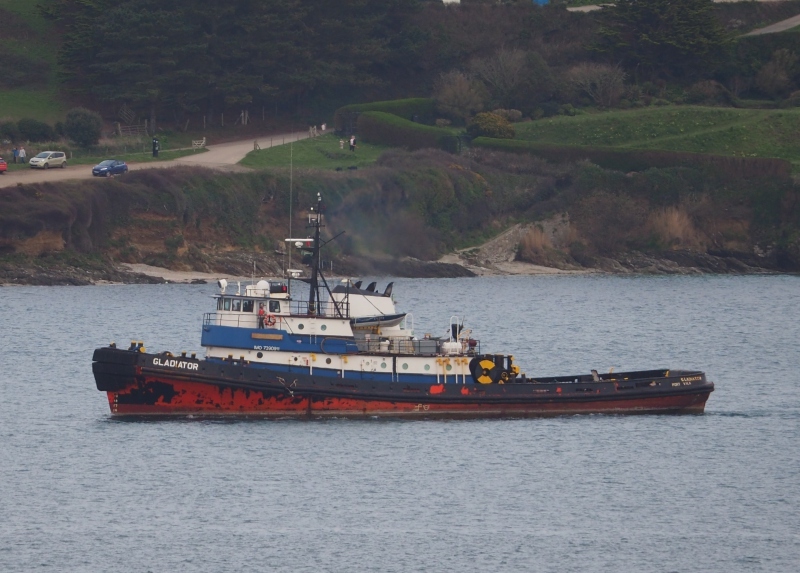 44-year old, US-built tug approaching Falmouth harbour after a 10-day voyage from Valletta. 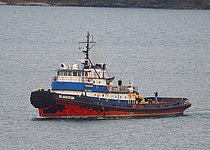 Originally operated by Crowley under the same name but renamed Resolve Gladiator in 2011 before reverting to her original name last year. Not sure of the purpose of her arrival in Falmouth. Lovely ship. Is she in Falmouth for a yacht conversion?